There might be no better way to phrase it - let's suffer out loud. That day is clear, even 25 years later. It was a Tuesday, the first day after Christmas break. I was in my bedroom listening to music when the commotion of my inconsolable mother, escorted by my brother, came up the back stairs to our house. I ran to meet them, and my brother simply said, "Dad's dead. Celebrating Two Years with a Big Announcement! Since that day two short years ago, we have had the honor of listening to the stories of so many others. We have heard from people who know the pain of losing a loved one to suicide. We have heard stories from people battling depression, anxiety and addiction. We have people reaching out to us through social media and our website to find support groups, recommendations for counseling, and for an outlet to tell their story. What Happens When You Text into the Crisis Text Line? 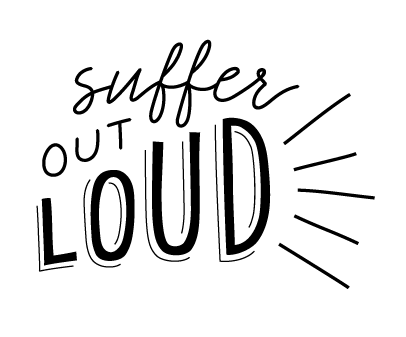 A member of our Suffer Out Loud community recently checked in with the Crisis Text Line for some encouragement and wanted to share her experience.